Beck is famous for its large live room – it sounds great for recording or rehearsal – Just ask any of the many bands that use our facilities regularly. 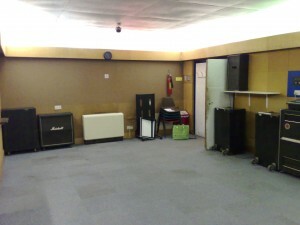 The room is available for rehearsal in 4 hour sessions for just £25 from 7am to 11pm. As the room sounds so good, our rehearsal facilities get booked up quickly, so you are advised to book well ahead of when you need to practice. We also offer daytime and weekend sessions too. 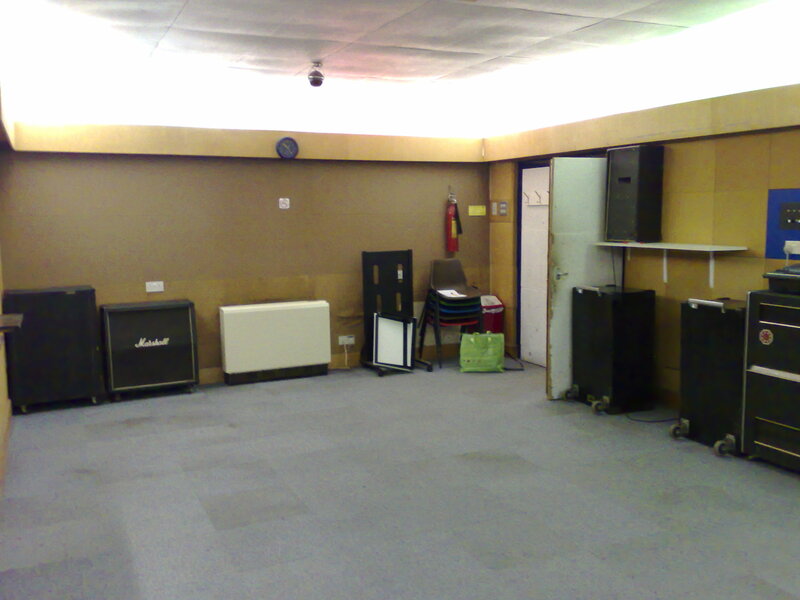 If you want to rehearse in a large, great sounding room then call Dave directly on 07774 010000. The £25 fee covers use of the room, one of two house PA’s and 2 vocal mics. A drum kit and various back-line amps are also available at an extra charge of £5 per item. Tea and coffee making facilities and cordials are also provided free of charge, if you need that little dose of caffeine! Our kitchen is equipped with a microwave if you fancy a snack during your rehearsal. No one ever only rehearses once at Beck and most come back week after week – they can’t all be wrong.